Hello all you wonderful people! Holiday collections are rolling out now, and I happened to get lucky when I went into Sally's a while back. I picked up a mini set of part of the China Glaze Seas & Greetings collection and I will be sharing my thoughts with you all today! A pale rosy pink shimmer. Applies smoothly. Shown above is 3 coats with top coat. Purple and gold glitters of varying sizes in a clear base. This is best used as a topper. Shown above is 1 coat over Eat, Pink, Be Merry. A metallic magenta with pink shimmer. Applies smoothly and evenly. Shown above is 2 coats with top coat. An iridescent amethyst with pink shimmer. 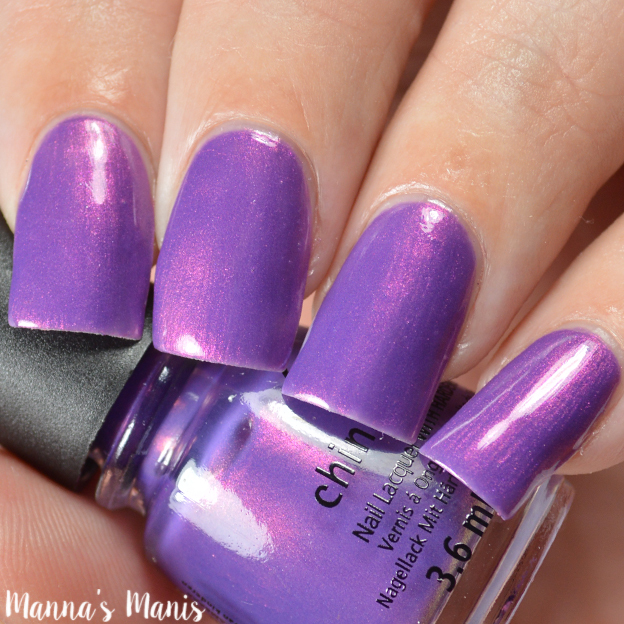 Formula is on the thinner side, but the final look is worth the 3 coats you will need for this one! A cool blue lavender creme. Formula is on the thicker side, so this could be pulled off in 1 coat. I did 2 for evenness. I saved the worst for last. This aqua green matte has a horrendous formula..there's no beating around the bush. It's horrid and I didn't even want to take pics of it. Maybe it's just because it's a mini so it made application not so easy, but I have seen on other blogs that they had issues as well. Even with top coat, you could still see the brush strokes. Skip this one. Final thoughts: Aside from the matte, the other 5 I tried are nice! Seas & Greetings is a clear winner of the bunch for me, I will be picking up a full size for sure! This collection is a 12 piece, so there are 6 others I won't be showing on my blog. 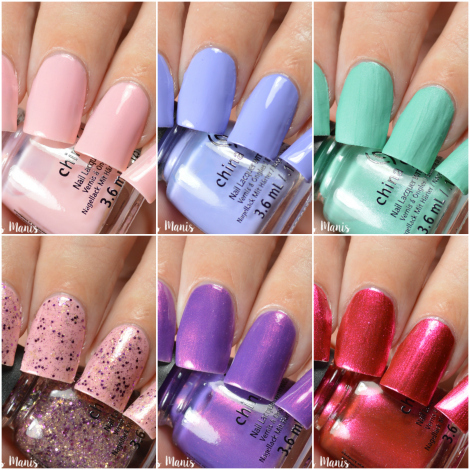 You can pick these up as Sally's Beauty or online at stores like head2toebeauty or 8ty8beauty!